Luckily there are now a variety of different replica link bracelets out there. We bought two of them from a seller called HappyCell on Amazon, one in Black and another in Silver. The silver replica bracelet was $79 while the black bracelet was slightly more expensive at $88 w/ Prime. The ones we are reviewing are what people are calling 3rd Generation replica link bracelets, and there is now a 4th Gen link bracelet that recently came out that includes the quick release links. These ones are more expensive and available on eBay, prices are $160 for a Silver while the black bracelet is $165. 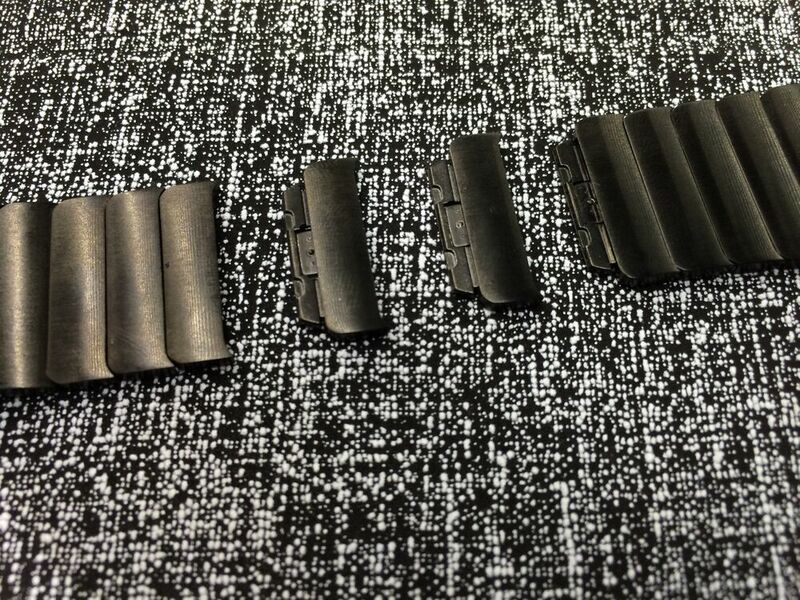 From far away they might look exactly the same, but looking up close the replica bracelet has a more flat black color than the Space Grey bracelet from Apple. The one from Apple has more of a grey shiny finish. 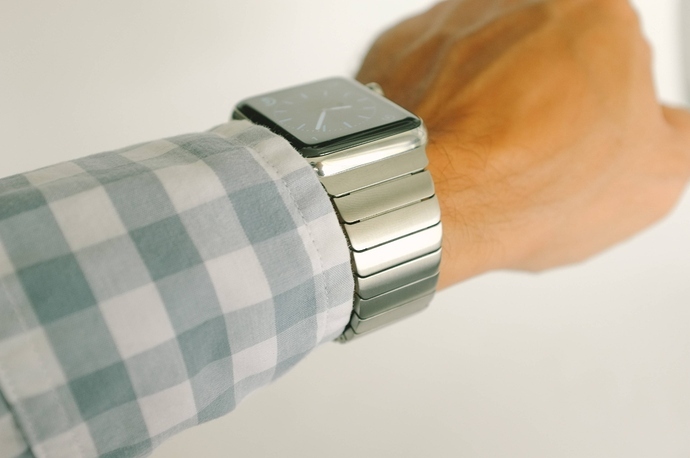 Apple says each link bracelet is made from 140 individual parts, and they have innovated new technology by creating a unique mechanism to resize the band. All you have to do is push a button and the link comes out. 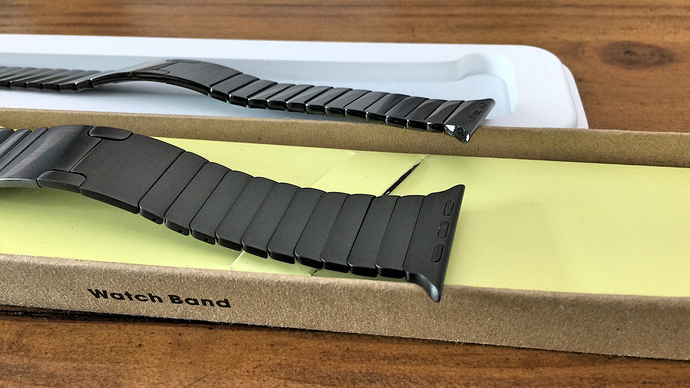 It’s very useful when you first get the band, but you also have to ask yourself how many times you will actually resize the band? 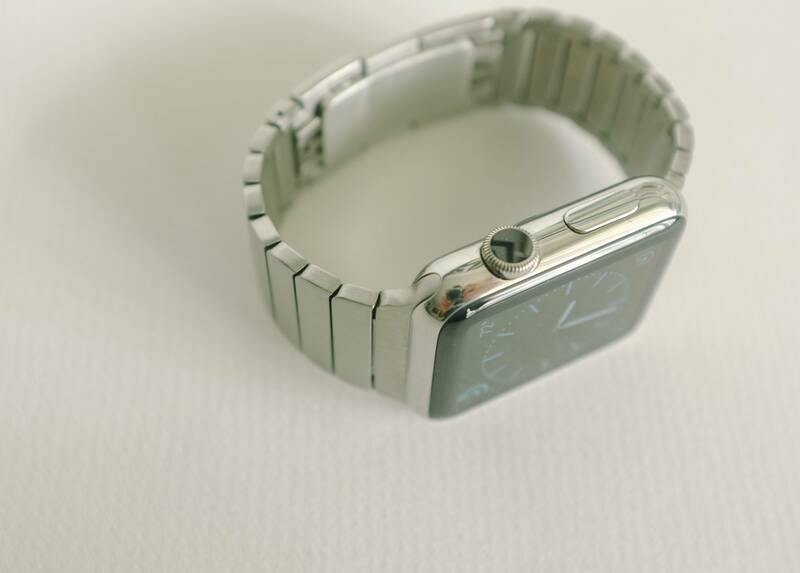 The replica band has little pin holes on the side and comes with a tool that you can use to easily pop out individual links. A little more effort in the beginning, but it will save you hundreds of dollars! We bought the Space Black Apple Watch for $599 with a black sports band, along with Apple’s link bracelet for $549 separately. When it comes to packaging, Apple has all the nice packaging and box as usual. When it comes to build quality, it’s also definitely there, and for the price you would really hope so. But when compared to the replica bracelet you start to realize you can get the same exact style and look for a fraction of the price. We think the replica bracelet makes an excellent choice with the Space Grey Sport, as you can see the black band contours nicely with the black of the screen. The Replica bracelet looks great on the Stainless Steel Space Black watch, so instead of spending $1,100 you can save yourself a ton of money with a sport band and buying this replica bracelet. We did notice a few minor imperfections with the band. 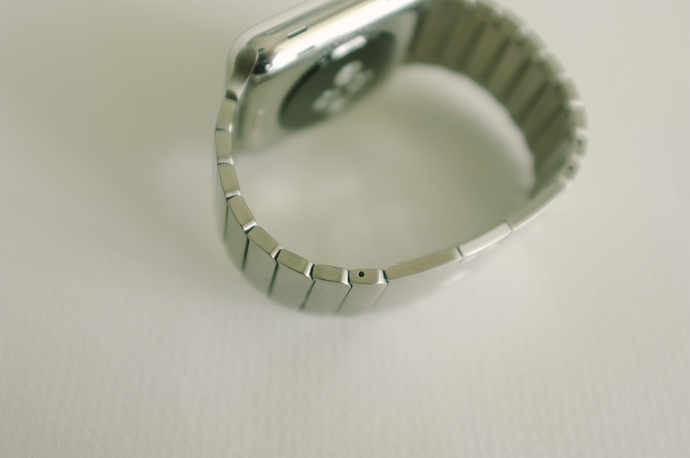 While the clasps look basically identical, the replica band doesn’t always click closed right away, while the Apple version definitely latches in right away each time. 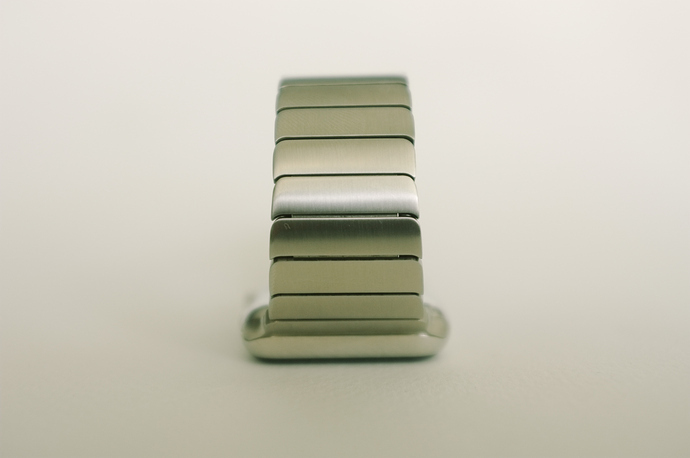 On the black replica bracelet, you can also see more space between the links and spot silver color. Obviously this isn’t a problem with the silver version. 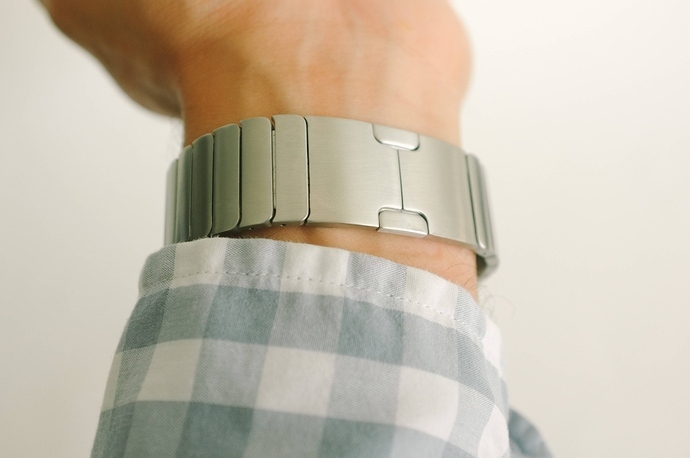 i have bought a band at https://alternativewatchband.com and the quility is just amazing. i dont see this product coming back in this post. Is it available for 38mm watch ?? How about the Hoco link bracelet for Apple watch?